Family business working mainly in TW and KT postcodes and surrounding areas. Registered plumber and qualified Gas Safe Engineer. All aspects of domestic plumbing, heating and gas work, bathrooms, power flushing, landlords gas safety checks, boiler servicing. New or replacement heating controls, pumps, valves, hot water cylinders. New water tanks and cisterns. Authorised installer of unvented cylinders: including Megaflo, Range, Oso and Ariston. 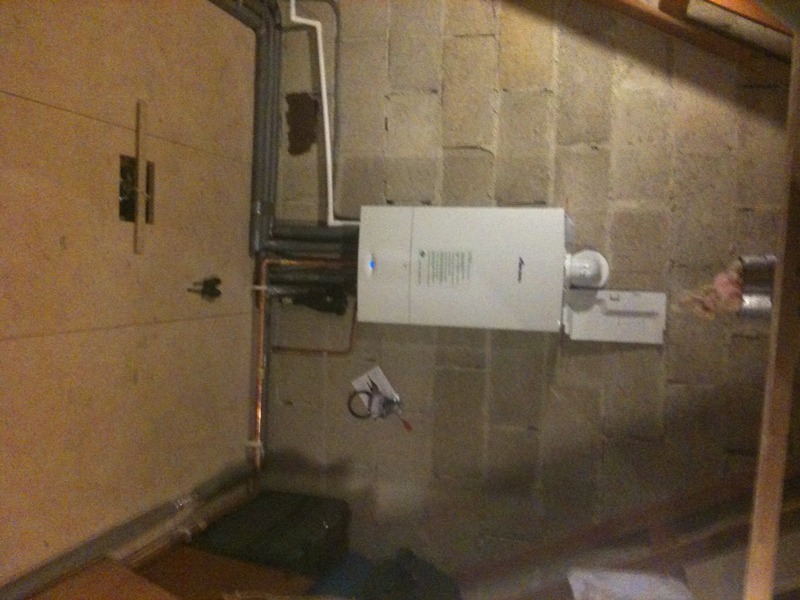 Boiler installation. Accredited Installer for Worcester Bosch. Replacement or new radiators and valves, new heating controls and energy efficiency. Small plumbing jobs no problem, new taps, etc. With poor mains water pressure we rely entirely on a pump to increase pressure to every tap throughout the house except one cold tap in the kitchen . Following a fault with the pump which caused it to leak through the ceiling below it was isolated to stop the flow of water. As soon as a new pump was purchased Harvest plumbing somehow managed to rearrange their very busy schedule to immediately fix the new pump. The whole process was carried out quickly and efficiently leaving no mess and to our total satisfaction. We have no hesitation in recommending Harvest for their excellent service. I was very pleased with the work done They were punctual,efficient and friendly The work was completed quickly and the area left tidy I would definitely use their services again. We had a new boiler fitted and removal of existing 30 year old fireplace boiler. The work took three days and came to estimate. Work was very professional. They were recommended by a friend and I will recommend them if I can. Replaced shower and shower pump. Some pipe work had to be adjusted but it was all done within estimated costs. The workmen were very polite & helpful, tidy & professional. Harvest plumbing with Mick and Dan, they do my routine boiler service and maintenance. GasSafe certified, always prompt and efficent, and I would heartily recommend them. This is the second time we used Harvest Plumbing. We are again very pleased with the work done. Plumber and electrician are punctual and courteous. Cables are well hidden in the loft, plumbing is nice and neat and our disabled mother is very happy with her new electric shower. We have no hesitation in recommending Harvest Plumbing to anyone who needs a reliable and professional plumber. Harry Nguyen. Quick response to our problem. Turned up on time, on day agreed. Very pleased with efficiency. As always Mick and Dan are super efficient and went above and beyond to get to us as soon as possible. We are so grateful for the work they have done and spotting the leak in the loft even though they hadn’t come to fix this issue. They are reliable and have left the house as it was before they came. Fantastic job as always, thank you both so much. Great service so pleased to have found a good reliable plumber. First call out was to repair a leak and change kitchen taps. This was done on Christmas Eve. Further booking made for 9th January when stopcock in the attic expansion tank was replaced. Hit water issues were resolved and new flow valve fitted. We were very pleased with the work. There was never any question that they might be inventing work which we have experienced in the past with other people. In actual fact they actively advised on how to keep costs to a minimum without compromising on quality and effectiveness. I have the feeling They are very honest and helpful. Good time keeping and communication. Very personable. Will definitely use again should the need arise.